We're sorry, but this item is no longer for sale. However, there may be more Batteries items available. 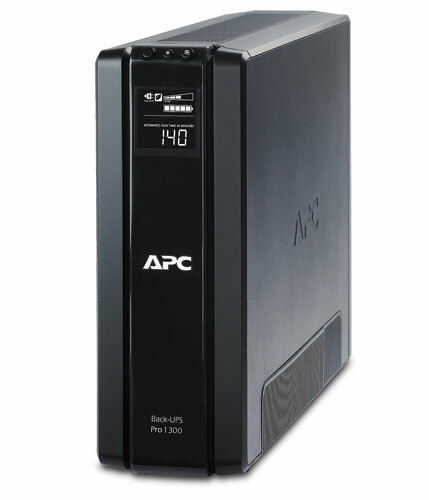 The Back-UPS Pro provides abundant battery backup power, so you can work through medium and extended length power outages. It safeguards your equipment against damaging surges and spikes that travel along utility and data lines. The Back-UPS Pro also features automatic voltage regulation (AVR), which instantly adjusts high and low voltages to safe levels, so you can work indefinitely during brownouts and overvoltages.